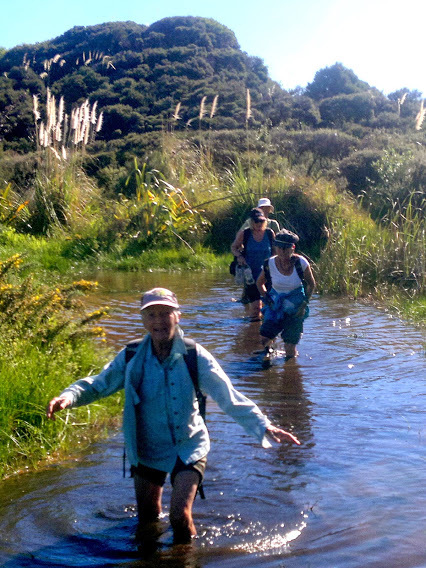 On the last day of August our Wednesday walking group returned to Nga Taki. 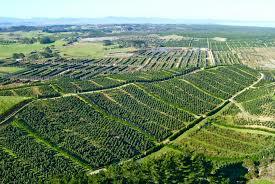 This is the site of a massive pinus radiata plantation that continues to be selectively milled. The entire project has been comprehensively described in the book Forest on Sand: The story of Aupouri State Forest by E.V. Sale. 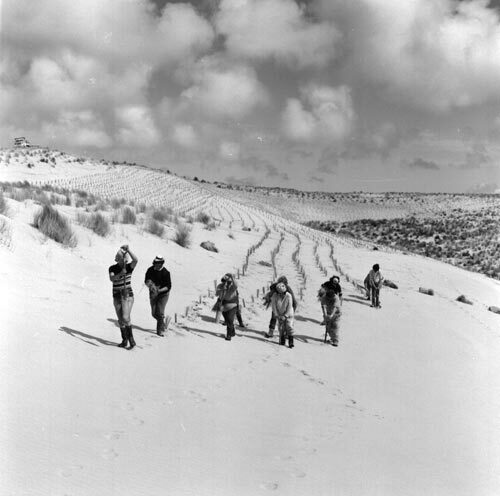 In a pine nutshell, teams of locals (mostly Maori) planted the sand dunes in marram grass. This was followed by the distribution of lupine seeds. 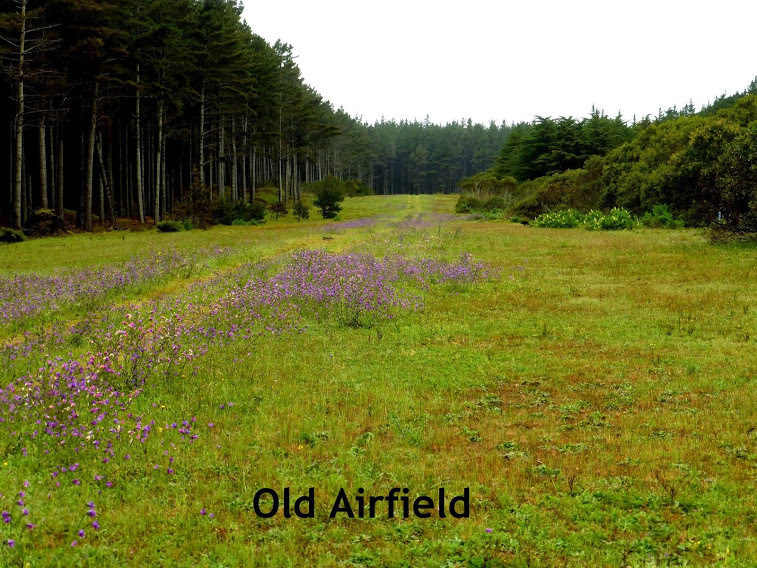 The marram stabilised the shifting sands and the lupines fixed nitrogen for the planting of pines which began about five years later. 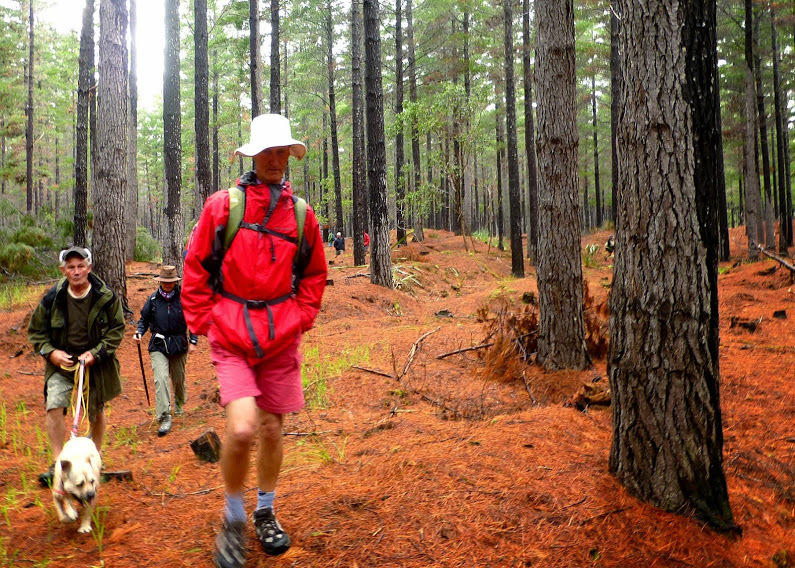 Des Ogle of the New Zealand Forest Service initiated the project in the 1960s. 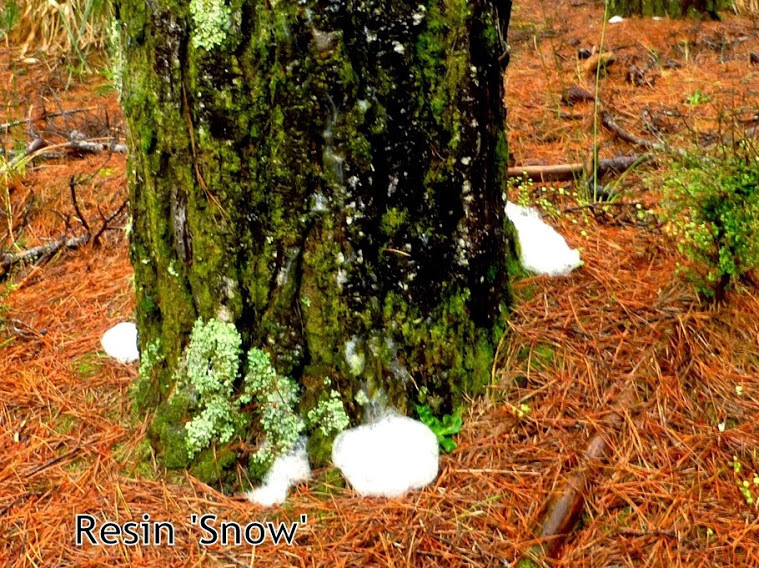 Today, some of the areas are into their third generation of pine planting. 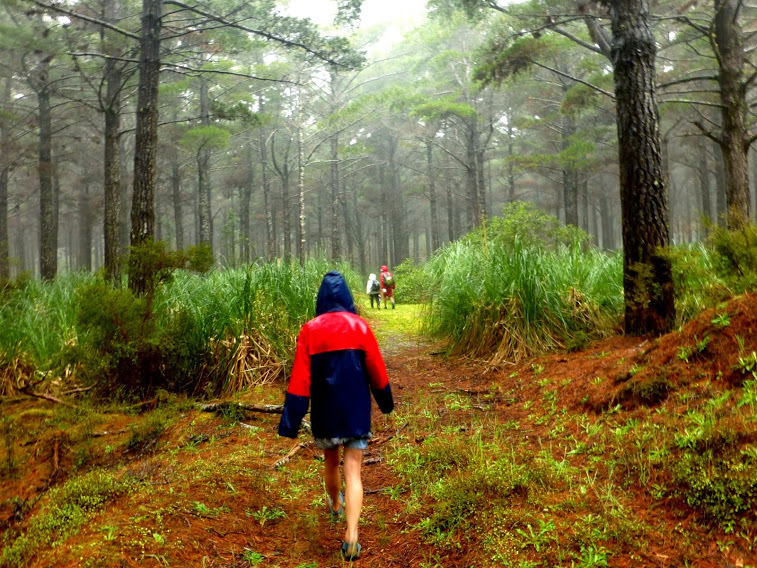 We all know pines from California aren’t part of the natural ecology of New Zealand but this project has saved farms, homes and even roads from being inundated by sand and at the same time has created somewhat sustainable employment in an area that was (and is) literally crying out for work. 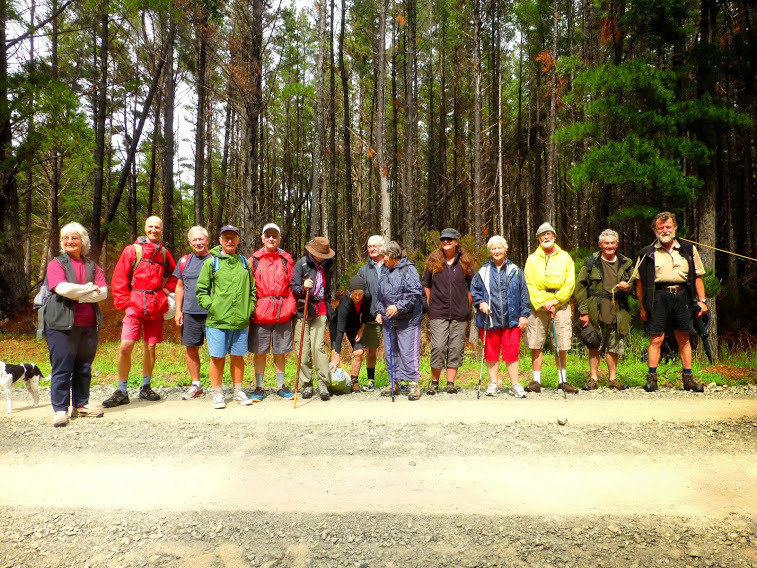 As a tramping group it can be disconcerting to see areas we’ve enjoyed walking through in previous years turned into ugly undulating landscapes of stubbled trees. For this reason, we choose places to walk in this huge forest that are far removed from the noisy activities of milling. 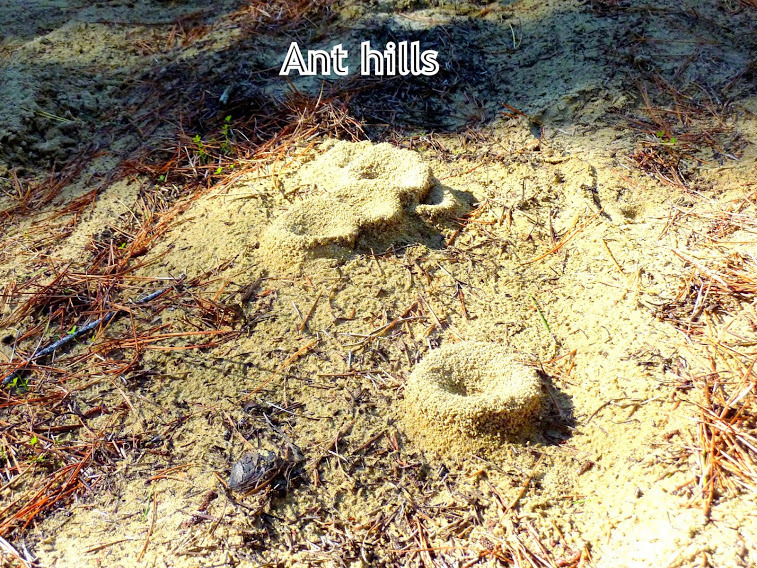 This particular day we encountered two herds while driving through the forest and had another conveniently decide to walk past as we sat by a temporary dune lake (fed by recent rains) to eat our lunches. 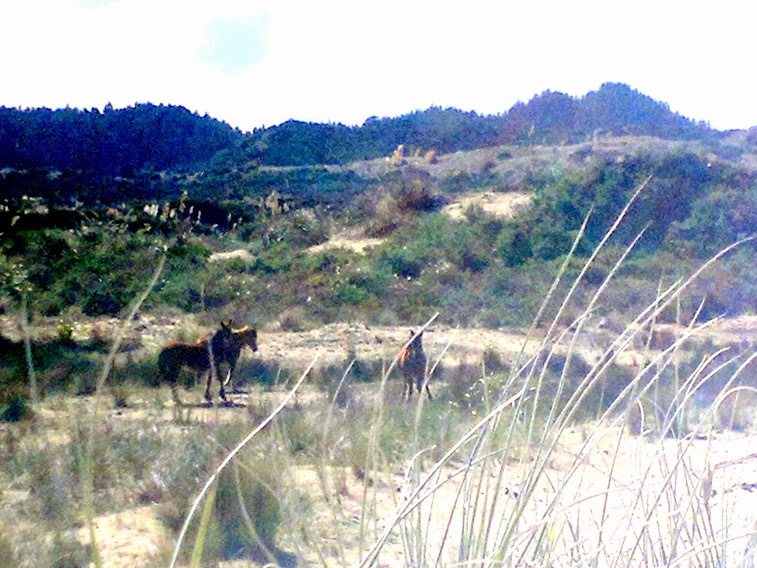 A blond-maned stallion watched on as mares and a young foal grazed on the spring flush of herbs growing in the damp areas between dunes. The stallion periodically chased off another young male that stayed on the fringe of the herd, presumably attracted to a mare in heat. 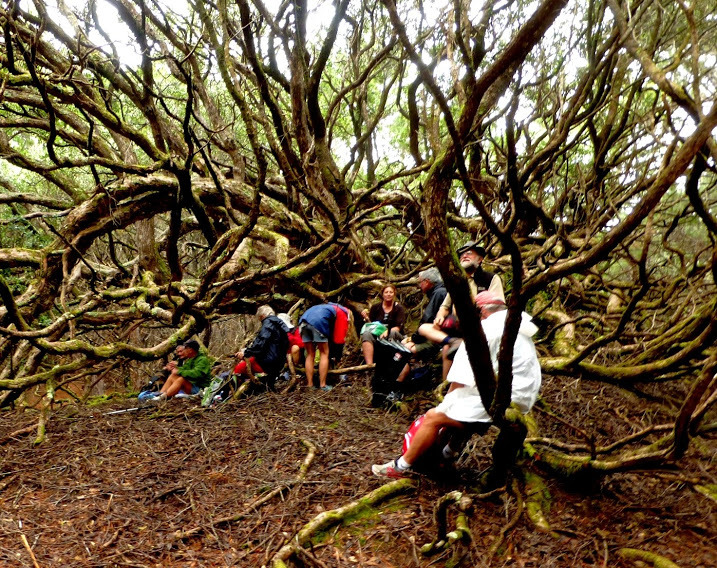 The walk is made up of three distinct ecosystems—the pine plantations, Ninety Mile Beach and the fringe of dunes that separates them. 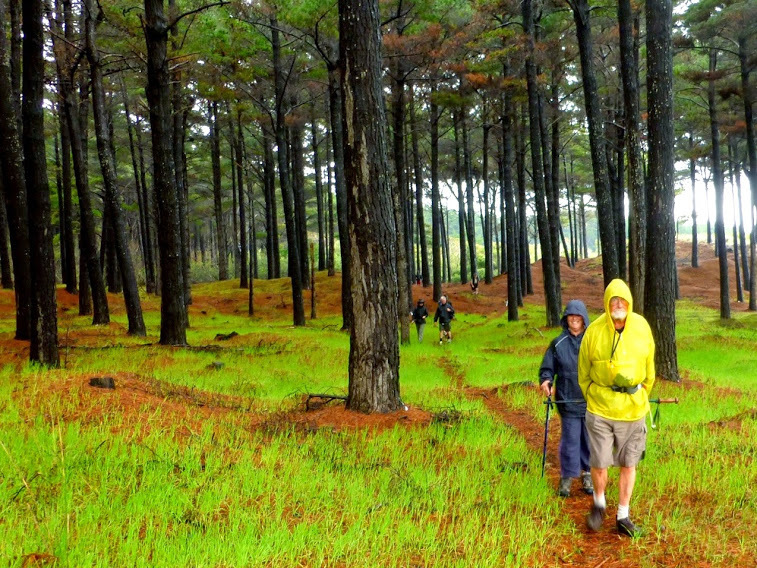 Our walk began in the seemingly endless forest of pines, this day fragrant with the blossom of acacia, another import that has found its way into the higher-light road margins, and buzzing with bees attracted to those rich yellow blossoms. 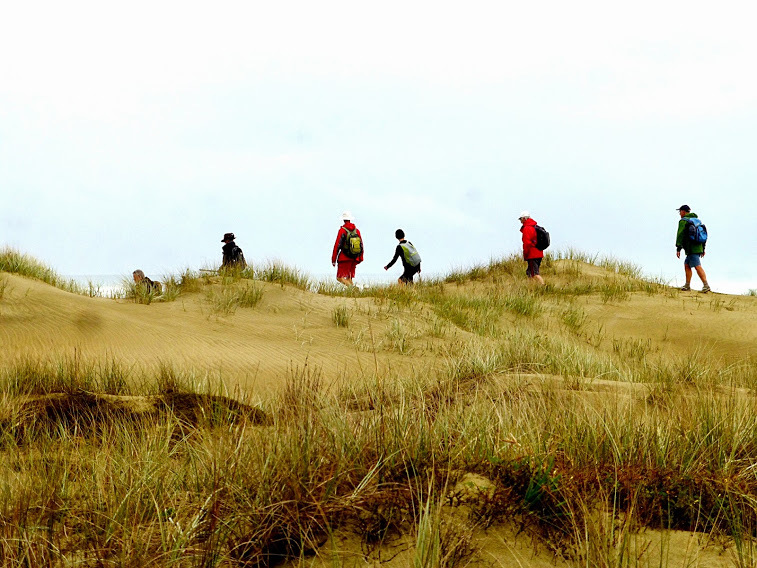 Next we entered the wild dunes that rise up in undulating waves in back of Te Oneroa a Tōhē (Ninety Mile Beach). The wetness of winter had created numerous temporary ponds. We began our search for wild horses and almost immediately sighted some feeding in the distance. Tom and Chris Farrell, two swallows that join our tramping group each winter and spring, had set markers to help us navigate this confusing landscape. 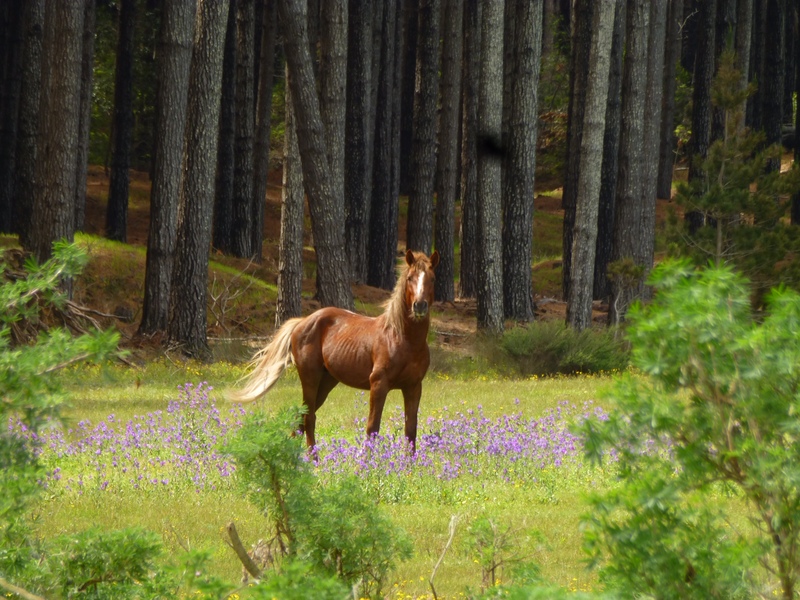 Tom and Chris have spent countless days over the years exploring the pine plantations of the Aupouri Peninsula, searching for horses and perhaps attracted to the trees that originate in their home state of California. 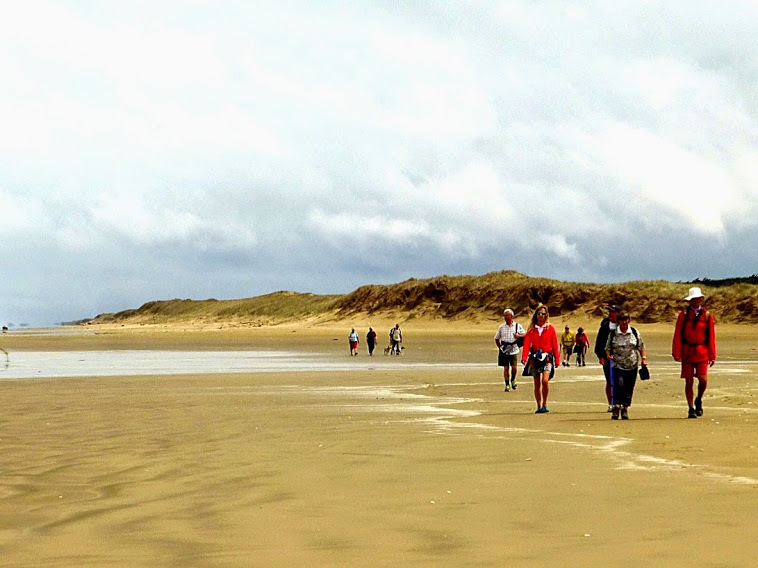 Once we reached the beach itself the group considered the possibility of heading north to the Bluff, a prominent landmark on a beach of few features to mark one’s location. The Bluff is often visited by fishermen, the odd one getting caught out by rogue waves. A few lives have been lost over the years. This mild, spring-like day we instead decided to head south into a light breeze. 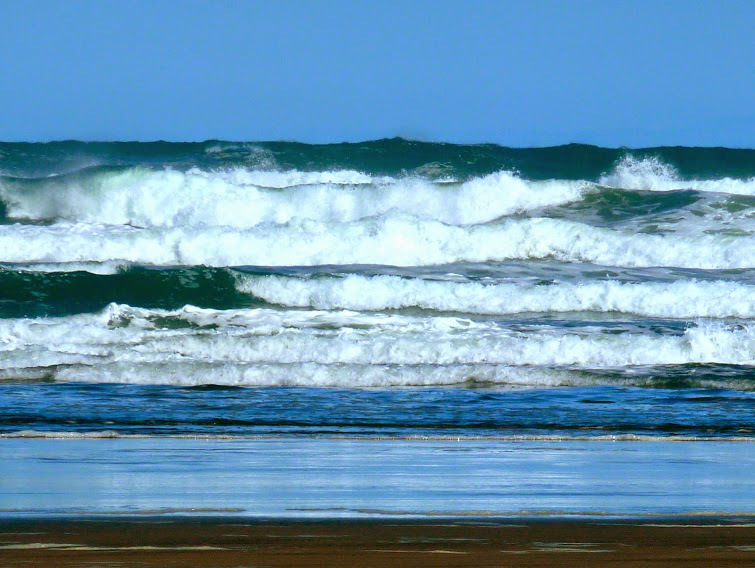 The overcast sky at the time discouraged the hardier group members from braving a dip in the rough, noisy surf of the Tasman Sea. 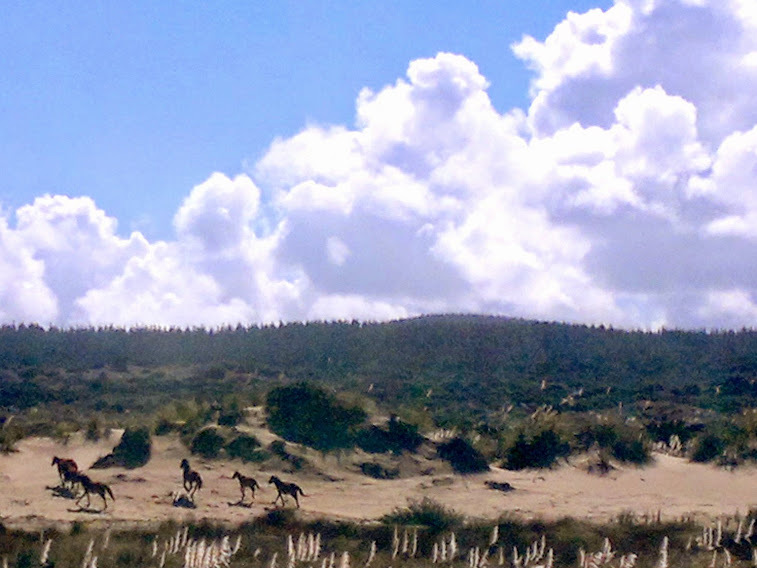 After a couple kilometres of beach walking Tom and Chris led us back into the dunes, eventually finding the temporary lake where we lunched and were visited by the small herd of wild horses. 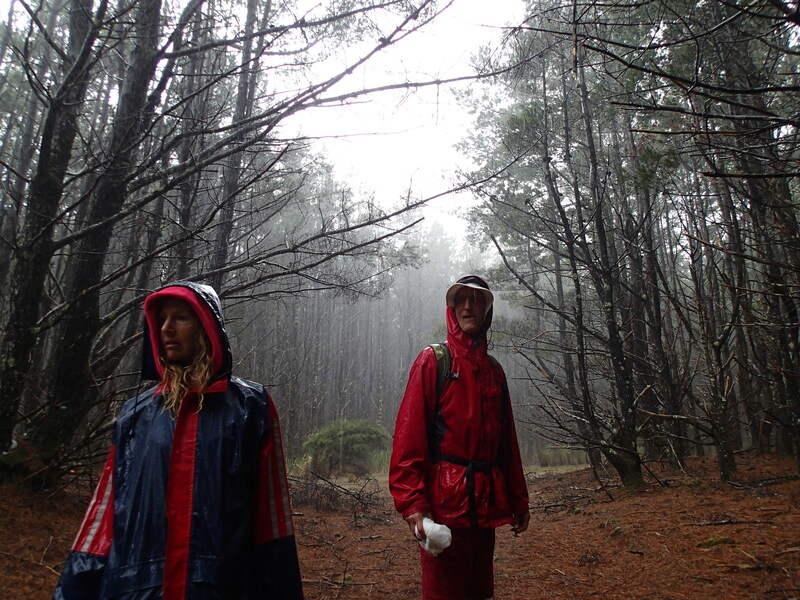 After lunch we looped through the dunes before re-entering the muffled stillness of the forest. Our total relatively easy walking distance for the day was 12 kilometres. All in all, Nga Taki is yet another unique, unusual and beautiful part of the rich Far North panorama.